« Transition to a Zero Emissions Economy in 10 Years? Forests are such an important part of life in far north Queensland. Our native rainforests and open forests underpin a significant tourism industry, have important recreational and spiritual values for our community, and provide habitat for the native species that make our region unique. Forests provide critical ecosystem services such as soil formation, water capture and filtration and carbon sequestration, which are fundamental to our survival. Of course, forests can also be a source of timber – and tension between timber harvesting and conservation is nothing new. 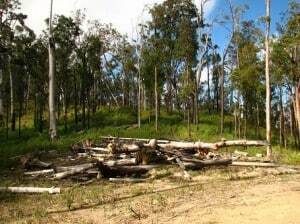 The Queensland Government recently made a decision to re-open areas of state forest to logging, including 22 gazetted state forests ranging in size from 100 to 8,000 hectares, which make up what is known as the north Queensland ecotone forests (an ecotone is a transition area between two biomes). The decision came from the Minister for Agriculture, Fisheries and Forestry, John McVeigh, and was revealed in a leaked letter in January. In limited subsequent comments provided to media, McVeigh stated that possible sites to be re-opened in the region include Kuranda, Ravenshoe and Tamoulin State Forests, but a comprehensive list of sites has not been issued despite our requests for further information. The north Queensland ecotone forests include prime conservation areas that were acquired by the previous government for conservation and earmarked for national parks, and will play a key role in allowing forests to respond to climate change. They include sensitive areas of high ecological value that are habitat for endangered species such as the yellow-bellied glider and cassowary. Many of the areas were set aside for conservation because of their high ecological value. These areas are sensitive to disturbance and are home to endangered species. Re-opening these areas to logging is unlikely to support a robust regional economy. Private companies are increasingly valuing independent forestry certification from the Forest Stewardship Council (FSC), the only internationally recognised and credible forestry standard. Nature-based tourism generates more revenue for Australia than native forest logging, which continues to rely on government subsidies to remain profitable. Australia has a strong and increasingly valuable plantation timber industry which can meet many of our timber needs. Furthermore, in 2012 the Commonwealth Government introduced the Illegal Logging Prohibition Act that served to prohibit the import of wood products containing illegally logged timber and require importers of timber products and processors of raw logs to fulfil due diligence requirements. 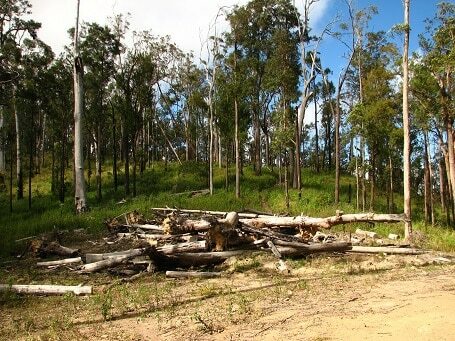 In 1999 the Queensland Government made a commitment to end to all logging in native forests by 2024. This decision was based not only on the understanding that biodiversity conservation is critical in its own right, but that it also provides our communities with important ecological services and economic opportunities such as nature-based tourism, and that plantation forestry provides a more sustainable industry for our state. To reverse this decision shows a distinct lack of foresight, ignores the continuing decline in the state’s threatened biodiversity, and is not in the long term interests of regional and rural communities. So what’s the solution? With good planning, we believe it’s possible to meet Australia’s timber needs from Australian and overseas plantations and planted forests and that this is the best way forward. So little of our forests remain intact, what we have left is too valuable to sacrifice to the dying native forest logging industry.